Gamadecor is a Porcelanosa Grupo brand. It produces furniture, above all for bathrooms and kitchens, but also for living rooms, double and single bedrooms, tables, chairs, mirrors. It makes high quality products for the top end of the market, exporting to fifty countries, with more than 400 points of sale world-wide. And a part, however small, of the credit for such success on world markets goes to the group’s testimonials: from Valeria Mazza, Miranda Rijnsburger (wife of Julio Iglesias) or George Clooney, not forgetting that Porcelanosa group is also one of the official suppliers to Prince Charles, the Prince of Wales. At Gamadecor people are looking for great design. They imagine, design and build furniture that is extremely elegant, with absolute shapes, where it is the leaves or the very shape of the furniture that create points for opening a door or a drawer. Rigorous, almost minimalist shapes. Creating the handle from the leaf itself; “J shape” is the best-known definition, but not necessarily, because these “handles can be produced by the most complex profiles, easy to obtain from a solid wood element or one that will be varnished. It’s more difficult to find a less expensive solution that brings this elegant feature within reach of the many. 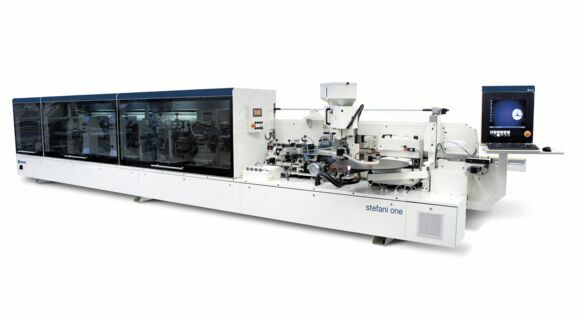 Stefani’s “Evolution One” is the edge banding machine which has solved the problem. A powerful, complex single-sided machine, able to cover profiles with 90 degree angles or extreme curves without any problems, using PVC or ABS edging in thicknesses of up to 1.5 mm. These sturdy materials are applied using polyurethane glues, guaranteeing absolute hold, maximum resistance to moisture, even to water, and to the most extreme temperature changes! “For our group technology is a fundamental element and being able to combine our idea of design with a solution that lets us provide maximum quality was crucial. Unlike most furniture makers, we don’t focus on price, but on quality, originality, favouring the architectural style of linear furniture, a trend that will spread in the coming years. It’s a way of making sure we stand out, of being competitive and innovative before others, of looking to the future of our company with great optimism”. 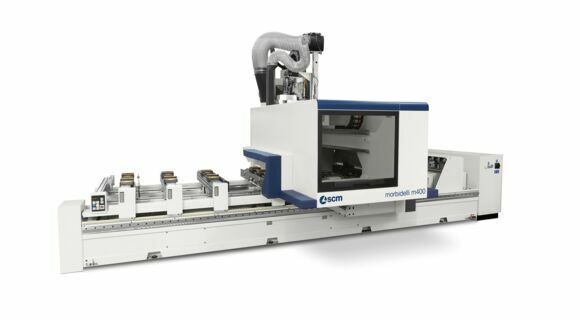 “Scm Group with its highly specialised machining technologies, such as Stefani for edge banding and Morbidelli for boring and routing centres – there are also Morbidelli machining centres at work in the Gamadecor factory - is the ideal partner for us, a single source able to take care of every aspect of the most minute, niche requirements”. 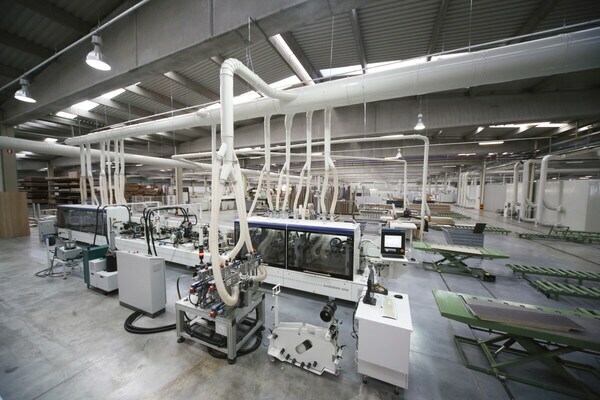 “Scm Group’s added value – says Herrerias – isn’t just the technology, but also the “human factor”, the quality of the people who work at Novorex, its Spanish branch. For us, having suppliers who understand our goals, meet our requirements in a flexible way, no matter how unusual they are, guarantees a winning collaboration”.